How much can one photographer pack into a single photo? 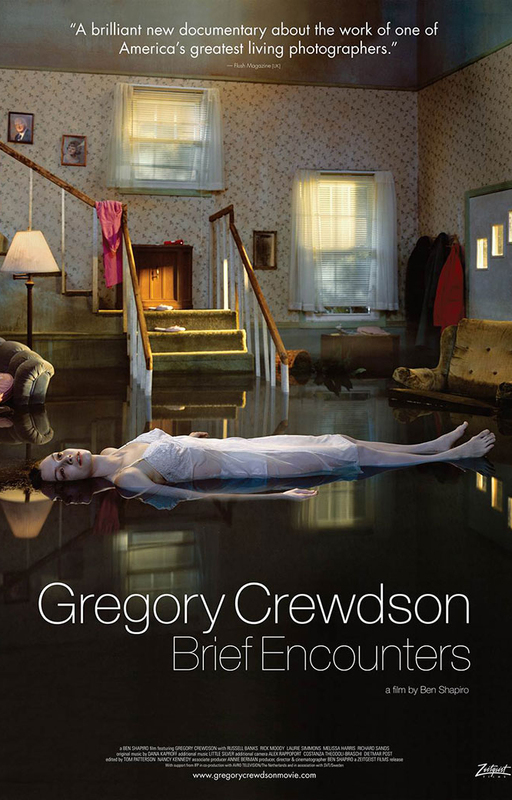 Whatever you might have previously imagined regarding this question, I think you'll be surprised at what the shutterbug (that's not quite the right word) profiled in the new documentary GREGORY CREWDSON: Brief Encounters can manage. If TrustMovies has seen up to now any of Crewdson's work (shown above and further below), he was unaware of this, so he came quite fresh to the film. And he wonders: Had he seen this man's photos before watching this movie, would he have been remotely aware of how much work -- time, money, energy, and above all detailed planning -- goes into each shot? He'd like to think so, but maybe not. How could any mere observer imagine what taking each of these photographs entails? Still, the end product in every case -- rich, resonant and haunting -- is certainly impressive. 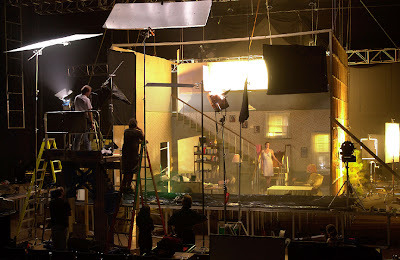 In this film, directed by Ben Shapiro and starring Mr. Crewdson (seen at left), the photographer shows us (as well as explaining) why he prefers shooting at twilight time, when day is no longer but night has yet to arrive. Others have found a sense of menace and nightmare in the man's work; I find mostly melancholy and sadness, as well as a rich vein of beleaguered humanity and maybe just a tad's worth of hope. The photographer takes us to his small town in Massachusetts, where the photos from Beneath the Roses -- the series from which the work shown here comes -- and then involves us in everything from his earliest thought processes and connections to the idea for the photo through its planning and set-up and completion. For audiences members interested in art and where it comes from, not to mention specifically photography and photographers, this is fascinating stuff. 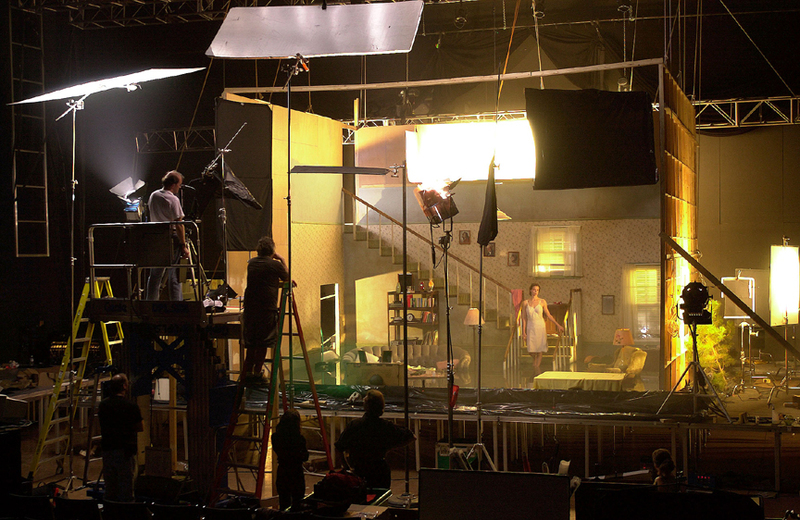 And filmmaker Shapiro is careful to temper the technical talk with interesting reflections on family and history, along with how Crewdson works with his "actors" (below) and his crew to achieve the particular results he demands (above). 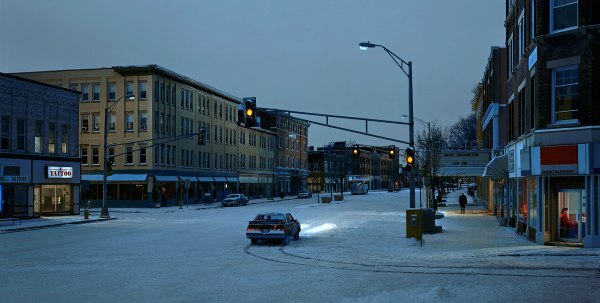 Crewdson thinks of his work as a kind of film-making and the comparison is apt. 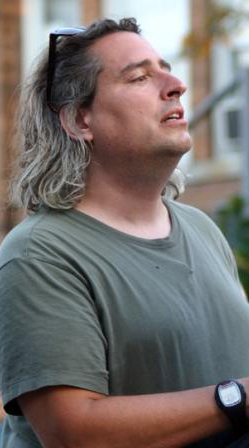 Yet, insisting on the kind of detail he does here (see below!) in a full-length film would demand a budget that would make even James Cameron or Michael Bay blanch. Along the way we learn about the photographer's psychologist father, his early life in Brooklyn (he played in a band while in high school, and the group even wrote one song about photography -- a snippet from which we hear), and how his early viewing of a Diane Arbus show affected him. We also hear from novelists Russell Banks and Rick Moody regarding this man's art. By the time we leave Crewdson -- wandering through the old Cinecitta studios in Italy -- we can't wait to see what this world-class photographer does with that. From Zeitgeist Films and running just 77 minutes, the movie opens this Wednesday in its U.S. theatrical premiere at Film Forum in New York City. To view all currently scheduled playdates around the country, with cities and theaters shown, click here.